Address: 4435 Las Vegas Blvd. 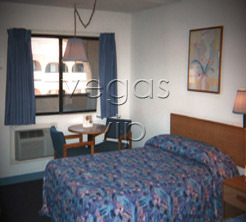 Located only 30 minutes from the Las Vegas Strip and a mere jaunt from Nellis Air Force base, Super 8-Nellis offers the comfortable kind of accommodations that guests would expect from a Super 8. 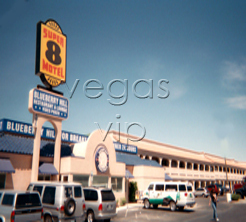 The Super 8 on Nellis offers a complimentary Super Start Breakfast and laundry/valet services. In-room amenities include television with cable, free high speed internet and Jacuzzi suites are available. 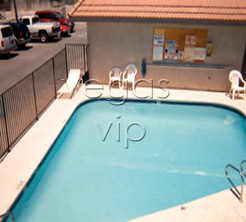 Outside, there is RV parking and a swimming pool.